All five of Argentina’s deeply divided union federations came together to hold a huge joint demonstration against the conservative government of Mauricio Macri. An estimated 350,000 unionists took part in the demonstration. Some media outlets suggest the number was more like 150,000. Either way, it has taken less than 150 days for the new government’s right-wing, pro-business agenda to spark a forceful and united trade union demonstration. 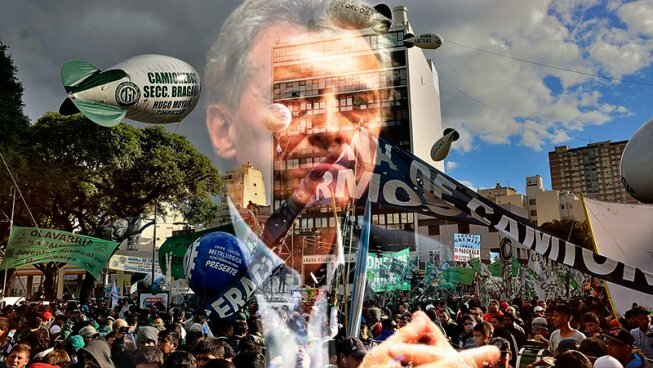 In its first months in power, the Cambiemos (Let’s Change) government of President Macri has wreaked havoc on the working people of Argentina. 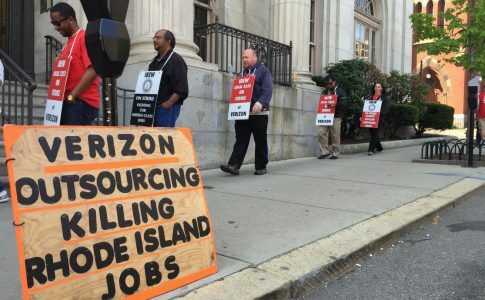 Over 25,000 public sector workers have been laid off as well as many more in the private sector. There have been price hikes of 300 to 400 percent in basic services such as gas, electricity, water and public transport. The government has also done its best to hold down wage increases in the face of rising inflation. Now the Macri government is threatening to use its power of veto to throw out the “Ley antidespidos” (Anti-layoff law) which, according to Macri, “Destroys jobs and is detrimental to the people of Argentina.” Recently passed in the National Congress, this law aims to prohibit bosses from sacking private and public sector workers “without just cause” for 180 days, and doubles redundancy payouts for those that are sacked. President Macri’s threat to veto the “Ley antidespidos” has forced the hand of the union bureaucrats. For months they have tried to avoid taking to the streets while the government continues headlong with its austerity measures. Bringing Argentina’s divided union movement to the point where they are forced to hold a joint demonstration is no mean feat. 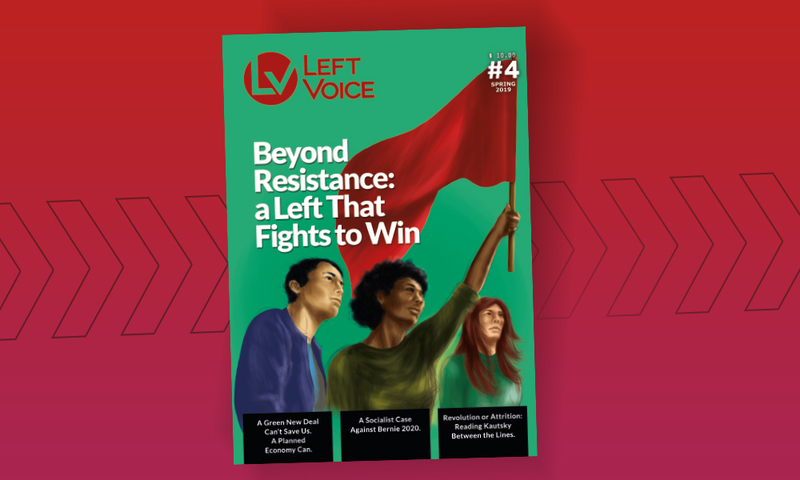 For years, the country’s labor movement has been divided into three different factions of the Confederación General del Trabajo (CGT – General Confederation of Labor) and two from the Central de Trabajadores de la Argentina (CTA – Argentine Workers’ Central). President Macri’s threat to veto the “Ley antidespidos” has forced the hand of the union bureaucrats. Nevertheless, April 29 saw almost all the leaders of these federations stand together on the same platform – Antonio Caló from the ‘official’ CGT (CGT Balcarce), Hugo Moyano from the ‘opposition’ CGT (CGT Azopardo), Hugo Yasky from the CTA de los Trabajadores and Pablo Micheli from the ‘dissident’ CTA Autónoma. The only union head absent from the stage was Luis Barrionuevo from the CGT Azul y Blanca, who at the last minute decided not to speak. Most union federations, such as the CGT Balcarce of Antonio Caló and the CTA de los Trabajadores of Hugo Yasky, were very close to former President Cristina Kirchner. On the other hand, Hugo Moyano from the CGT Azopardo attended Mauricio Macri’s inauguration of a monument to Juan Domingo Perón last October and supported Macri’s Presidential campaign in all but name. Clearly, the relationship has changed since then. Divisions also surfaced as to what action to take on April 29. In the days before the rally, most union heads made it clear that “there will not be a stoppage” to coincide with the rally. 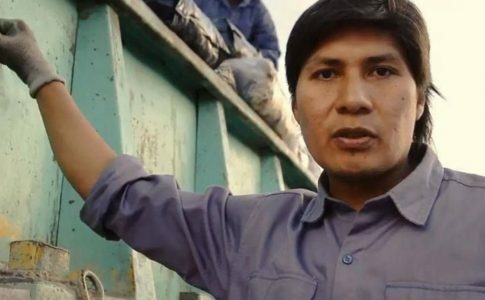 Hugo Moyano from the CGT Azopardo said that the mobilization is “in protest at the lack of response from the government” to the common demands of the union federations and that “there will be no cessation of activities.” The CTA’s Hugo Yasky made assurances that arrangements “to cover the compañeros that take part in the mobilization with a cessation of activities” would take place. The militancy of the key speakers was in inverse proportion to the size of the union factions they lead. The speech of Pablo Micheli, from the smallest faction of the CTA, was the most radical, while the CGT’s Hugo Moyano spoke in very measured and moderate tones. The day itself saw Moyano’s Camioneros (Truck drivers / Teamsters) union form the heart of the demonstration, along with large contingents from the Luz y Fuerza (Light and Power) electrical union and the civil servants of the Unión del Personal Civil de la Nación, which has just seen over 11,000 of its members laid off. The site where the joint April 29 demonstration occurred was chosen to highlight the Peronist, non-leftist nature of the event. Unionists assembled in the area surrounding the monument to the worker, the Canto al Trabajo (Ode to Labor). The monument is a stone’s throw away from the famous CGT headquarters on Calle Azopardo, inaugurated by Juan Perón in 1950. This part of Buenos Aires is a good 1.5 kilometers south of the Plaza de Mayo, the traditional end point for left-wing demonstrations such as the massive March 24 annual rallies that commemorate the right-wing military coup of 1976. It’s even further away from the National Congress building. For the union bureaucrats of the various union federations, the April 29 demonstration had a dual purpose. It allowed for a controlled release of the pent-up anger of union members while avoiding nationwide strike action. It also sent a message to the Macri government, attempting to assert the unions’ strength in the hope that this will stay the hand of the government’s austerity measures. At the initiative of the local Sindicato de Obreros y Empleados de la Industria Aceitera, the union of vegetable oil and cotton workers, the Left and sindicalismo combativo (militant unionism) took part in the massive demonstration as an independent contingent. Other militants who joined them included Buenos Aires subway workers, oppositionists from different branches of the Buenos Aires teachers’ union, public sector workers and elected representatives from the Frente de Izquierda y de los Trabajadores (FIT – Left and Workers’ Front). 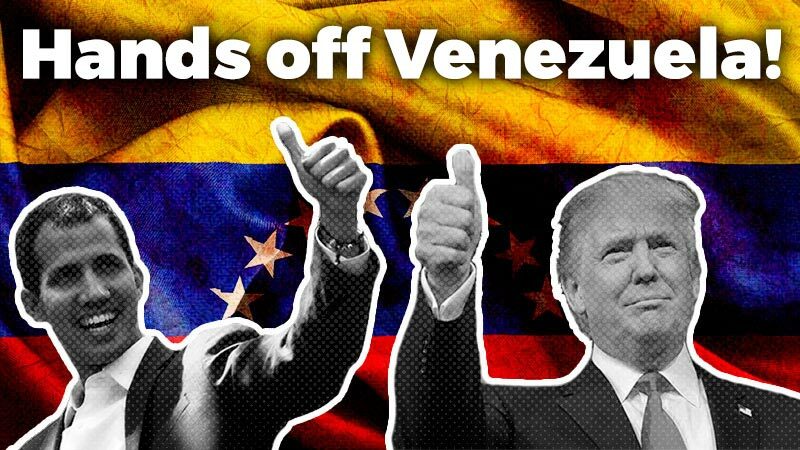 The presence of this independent bloc as a component of the demonstration was noted in the national press. 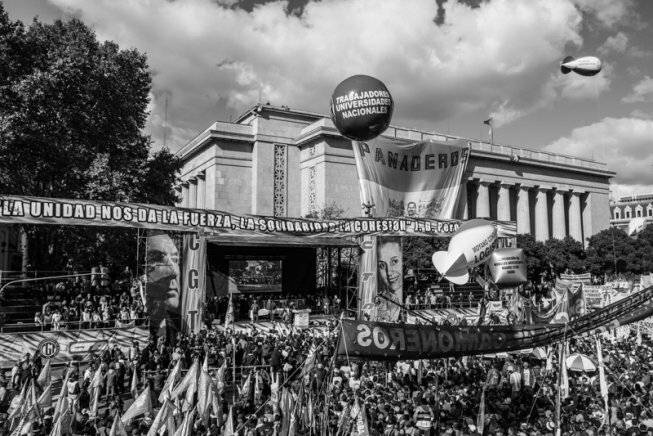 There is an urgent need for the entire labor movement to fully come to grips with the implications of Macri’s austerity plans, to go beyond the limits set by the union leaderships, and to put in motion the strength of workers that was briefly expressed on April 29. The “CEOcracy” must be confronted with the same determination that we see in those that are determined to implement austerity. That is the banner that has been raised by class struggle, militant unionists. 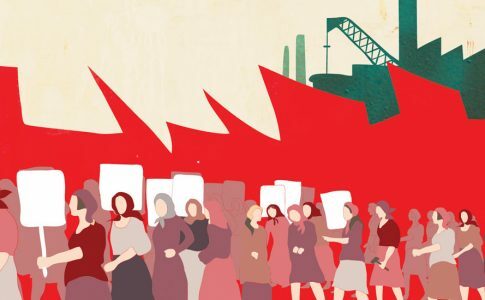 Guided by the principle of “march separately, strike together,” these forces took part in the April 29 demonstration while at the same time demanding that the union leaderships immediately prepare a plan of struggle and a national strike. 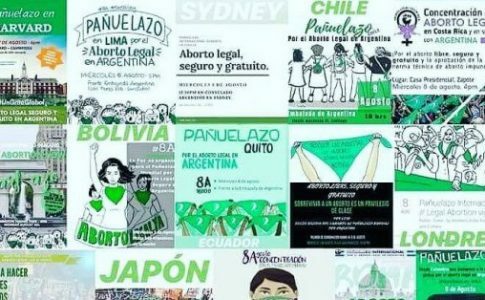 There are mobilizations all over the world planned in solidarity with Argentina's abortion rights movement.